Although my taste tends toward the baroque, occasionally something very simple and elegant grabs ahold of me and won’t let go. 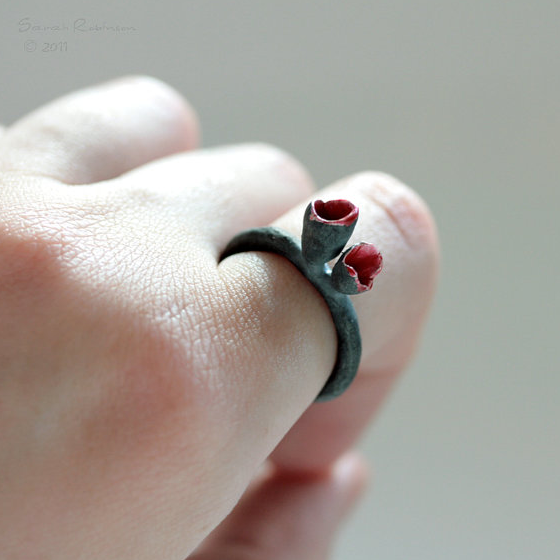 I pay a lot of visits to Sarah Robinson’s shop: La Chica de los Anillos, which Yahoo’s Babelfish site translates from Spanish to The Girl of the Ring. 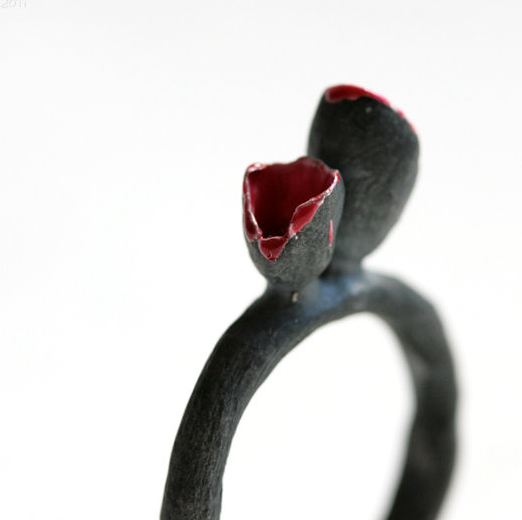 I’m struck by the quietude of these pieces, and yet my favorite ring (the one I want to be the girl of), pictured above, carries a lot of emotion. I don’t want to try to attach a particular “story” to this object, but for me, there is one, evocative, poetic, beautiful, a little dark. All of Robinson’s reasonably-priced handcrafted rings are beautiful; above is another favorite. 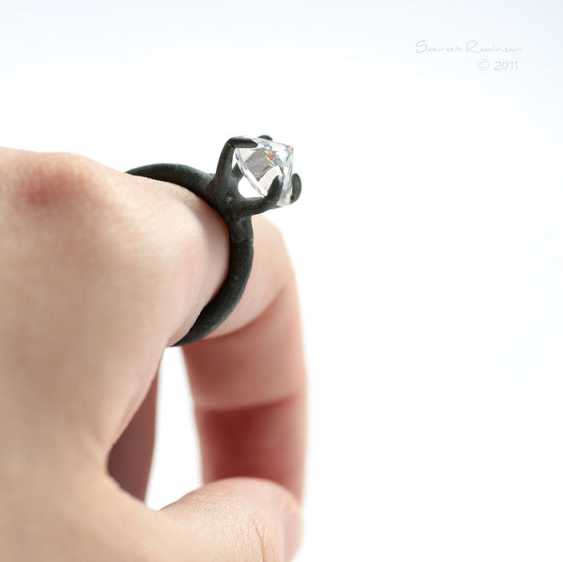 I love how the prongs are an emphasized design element, highlighting a concept of capture. The stone turned upside down is just a wonderful bit of humor, turning the idea of a diamond ring literally on its head. Rustic, organic, subversive, lovely. Love the organic texture of her rings! I love the simplicity of the pieces of this fantastic jeweller!